Bored with sleeping soundly? Fed up of sweet dreams? Well – this is the book for you! 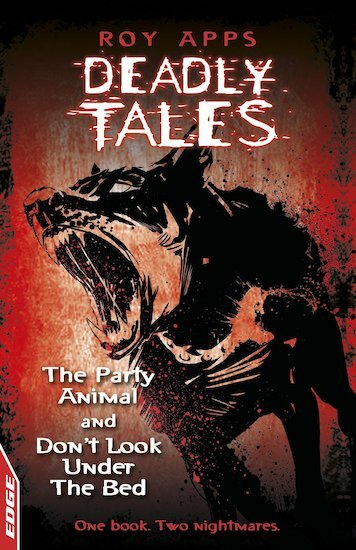 Two nightmare urban legends that you’ll pray aren’t true… Revellers at a party are horrified when they find a dog dead in the kitchen. But how did it die? Then a girl is kept awake by a noise in the bathroom. Soon she finds out why you should be scared of the dark… These addictive stories for reluctant readers mix up a winning fusion of fear and suspense, using accessible text, exciting graphic illustrations and contemporary settings. Which one will you dare to read first? As well as How to Handle, Roy Apps has written the Stacey Stone series for the fiction list. He has also done a lot of script writing, and been heavily involved in Biker Grove’s success.